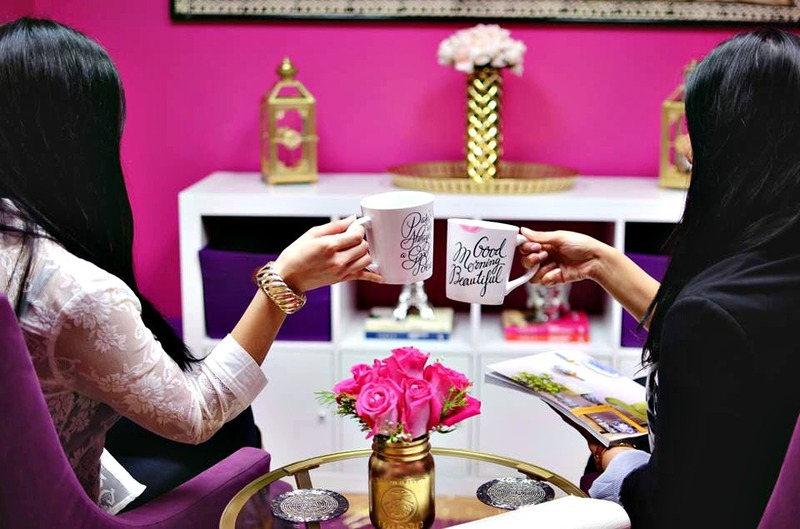 Amy and Ravi Minhas, the dynamic sister masterminds had a simple vision of inspiring the world through beauty and certifying that women always feel and look beautiful. 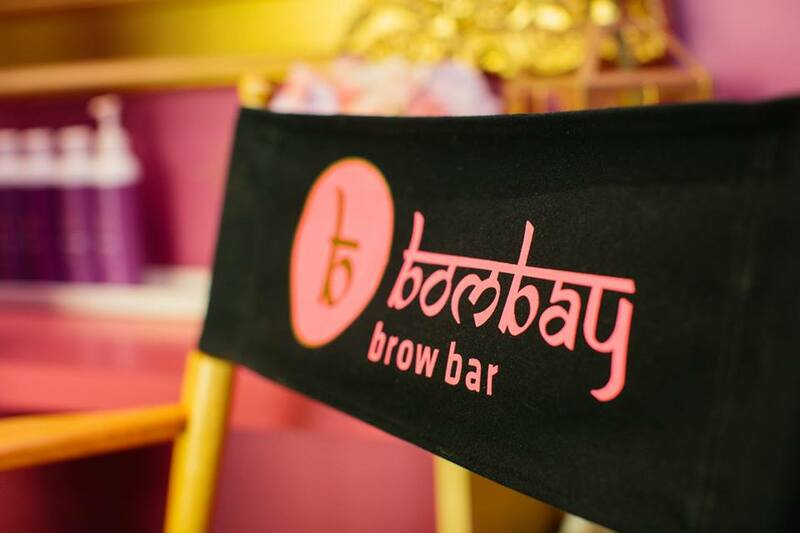 Enter: BBB; an extremely lavish, fusion infused brow bar offering a range of the most impeccable services inspired through the foundation of the Indian routes of eyebrow threading. In business for over 5 years now; the god sent treat for the women of Vancouver has three established locations (Yaletown, Kitsilano and Shangri-La Hotel) in our ever so gorgeous city. Being such a muse to prominent color scheming, I must mention how incomparable, feminine enticing and fabulous BBB’s signature brand colors of royal purple, hot pink and hints of gold are. At first glance, whether you are walking by the brow bar or generally browsing through their website every and any women would be captivated by their remarkable color pairing; which is consistent and evident through their entire boutique-like bar setting. AND also being such a muse to Indian cinema I absolutely admire the prominent incorporation of Bollywood – whether it be through a beautiful canvas painting or Bollywood dance numbers projected through a TV which is put in the shade of the Brow Bar’s personal take on western music. What’s truly brilliant and even more intriguing for BBB’s diverse clientele base is their overall execution of incorporating traces of Indian motifs, culture and glamour within all three of their central locations. The brow specialists – beauty beauticians and receptionist at every location are professional to the T, extremely friendly and offer the most phenomenal service. Upon arrival the receptionist confirms the details of your appointment, insists to hang your coat and offers you water or specialty chai while you wait a few minutes for your appointment. Your personal designated brow art maven will greet you, ask you about the services/appointment you have made, walk you through an entire complementary consultation until you are comfortable and content with the service/product they are about to apply and in a timely fashion blow your mind away. The most acknowledged and signature $24 service is not your average waxing/threading. The beauty beauticians provide a complementary consultation and step by step analysis of your brows in order to define the best suitable brow sculpt and arch for your face. You choose the preferred technique of brow shaping which is followed through by the beauty experts penned in guidelines from a white crayon marker. After the pain-free procedure, you have the option of rosewater or aloe vera gel application for your brows. The service is then wrapped up by the most amazing forehead and brow massage AND the choice of complimentary brow makeup. Words cannot even define the overall service and experience level. I always have people say to me $24 bucks to get your eyebrows threaded?!?! 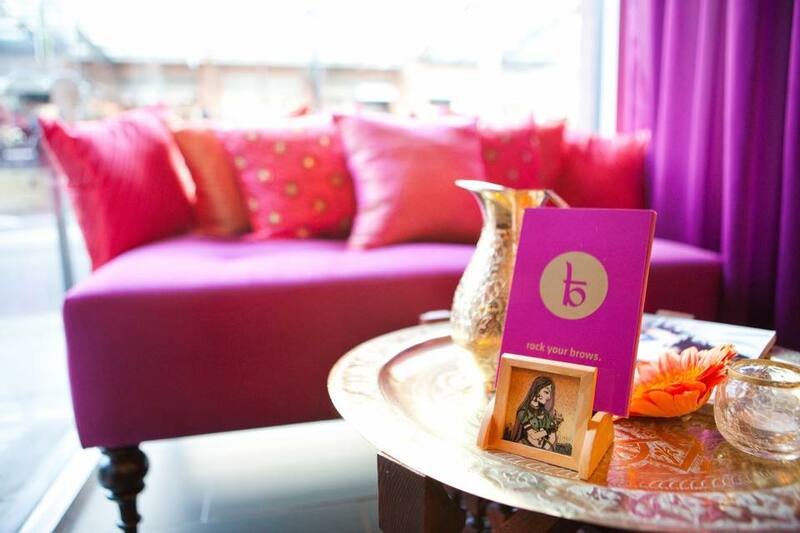 My response: One visit to BBB and you will forever be a Bombay Bombshell! 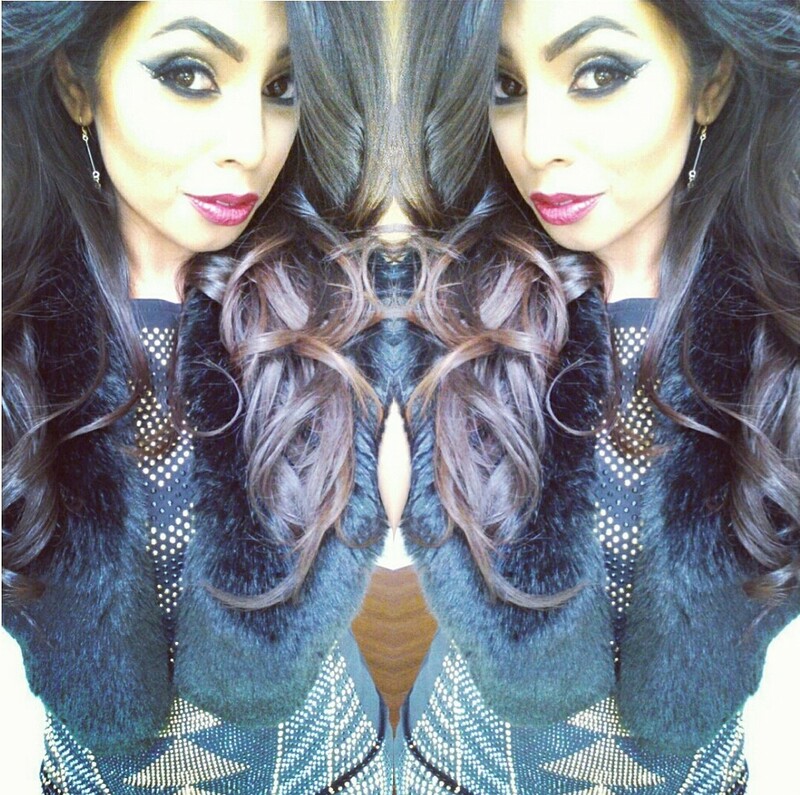 This entry was posted in In My Shoes, Industry Spotlight and tagged BBB, Beauty, Beauty Review, Bombay Brow Bar, Brows, Eyebrows, Review, Sonam Naidu Creative, Vancouver, Vancouver Blogger. Bookmark the permalink. ← STYLING DIARIES: Eric Kalsi or Ranveer Singh? Wow! Such gorgeous decor. I don’t think we have a threading place in Sydney that gorgeous or with service like that. Isn’t it?!?! Absolutely gorgeous right .. It works wonders, if needed give it a try and let me know your thoughts girly. Xo. This place looks AMAZING. I’ve never let anyone near my eyebrows. I’ve just seen beauticians get too pluck happy and nothing but little caterpillars left after. However, I would let those girls at my brows with no hesitation whatsoever. Three words: Eyebrows on Fleek! Wow love this place – hope they open a location in Washington D.C. stat!